Ready to learn calligraphy? You're in the right place. The more you get to know us, the more you’ll realize that the only thing we love more than doing calligraphy is teaching it. We do and teach lots of styles and tools, including faux, brush, and pointed pen. No fancy pens required! It can be done with any tool, like paint pens and chalk, and involves drawing outlines of the letters. The flexibility of brush pens (or paint brushes) are what make this type of lettering. This type of calligraphy is formed by dipping the pen into a well of ink and applying or releasing pressure as you write. Maybe you want to create your own DIY home decor. Maybe you want to address wedding invitations. Maybe you’re looking for a skill that can start (or add to) your extra income. Maybe you’re retired and finally have time for that hobby you’ve been dreaming of. …Or maybe you just never want to buy a greeting card again (plus, you love showing off your creative side)! 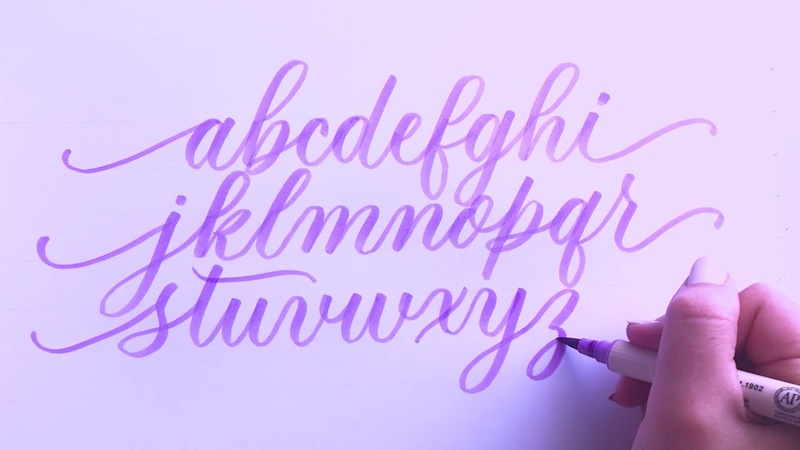 Whatever your reason for learning calligraphy, the first step is to just get started. All of our free downloads are available in the resource library! Get access by signing up below.